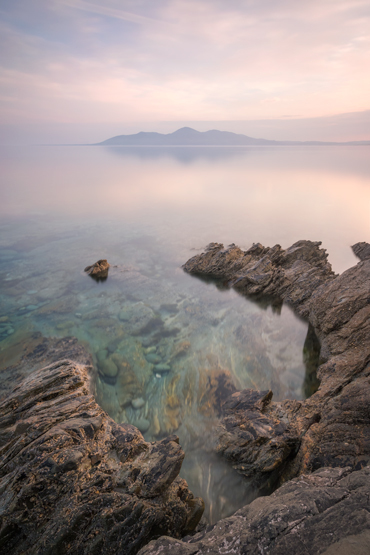 Around the foothills of the Mournes are rocky coastlines and pristine beaches which allow you to capture a different perspective on these hills. Join me tor a focused workshop on seascapes on the Rossglass pensinsula. Around this time, the sun begins to set in the perfect location to capture both side light and colour over the iconic profile of the Mourne mountains from beautiful, quiet and ever-changing beaches. The car park at St John's Lighthouse will be our start point for the day. I will formally introduce myself and share with you the detailed plan for the day. We'll walk explore the rocky coast around the lighthouse as the tide recedes to reveal tidal pools with reflections of the iconic lighthouse. We will head over towards our sunset location around a mile or so away. We will photograph sunset from one of two beaches (Tyrella or Minerstown) depending on conditions. I've planned this workshop at a time when the tide will be receding and almost out - offering us plenty of compositional options. A moderate level of fitness is required for this workshop as we will be walking on uneven ground, however this will be over short distances and with no ascents. I'd recommend wearing wellies for this session to allow more compositional options around the water. You will need a car to drive between St John's Lighthouse and the beach.